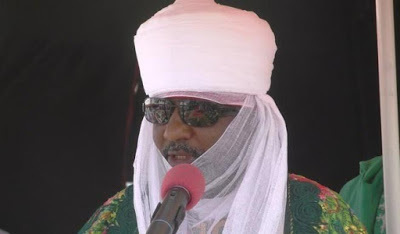 The Kano State Emirate Council has denied online reports that the emir, Muhammadu Sanusi II, has spent N6 billion of the emirate’s fund since he ascended the throne in June 2014. A report emerged online over the weekend, accusing the Emir of financial recklessness. The Emir was accused of spending as much as N6 billion since he assumed office three years ago. Reacting to this claim, the emirate held a press conference in Kano state today where the senior council official in charge of finance, Bashir Wali, told reporters that the emirate has only spent N3.4 billion since Sanusi ascended the throne in 2014. Wali added that the Emir Sanusi inherited N2.9 billion (exactly N2.895,165,43.77) and not N4 billion as was speculated online.